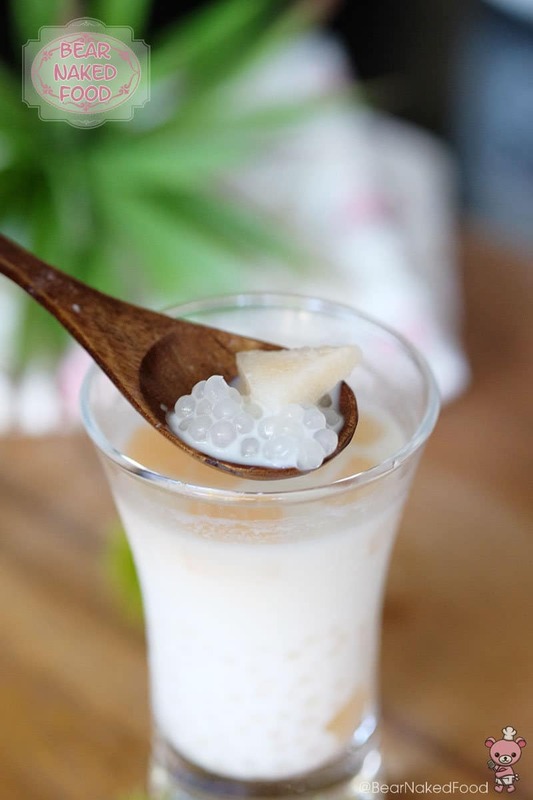 Tapioca pearls also known as Sago is a popular ingredient in many Asian dessert recipes. 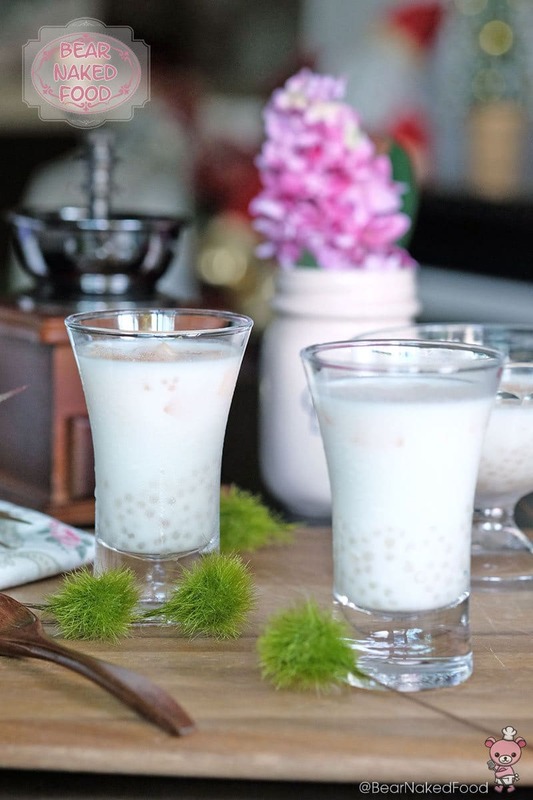 Made from the pith of palm stems, these opaque little balls turn translucent when cooked. 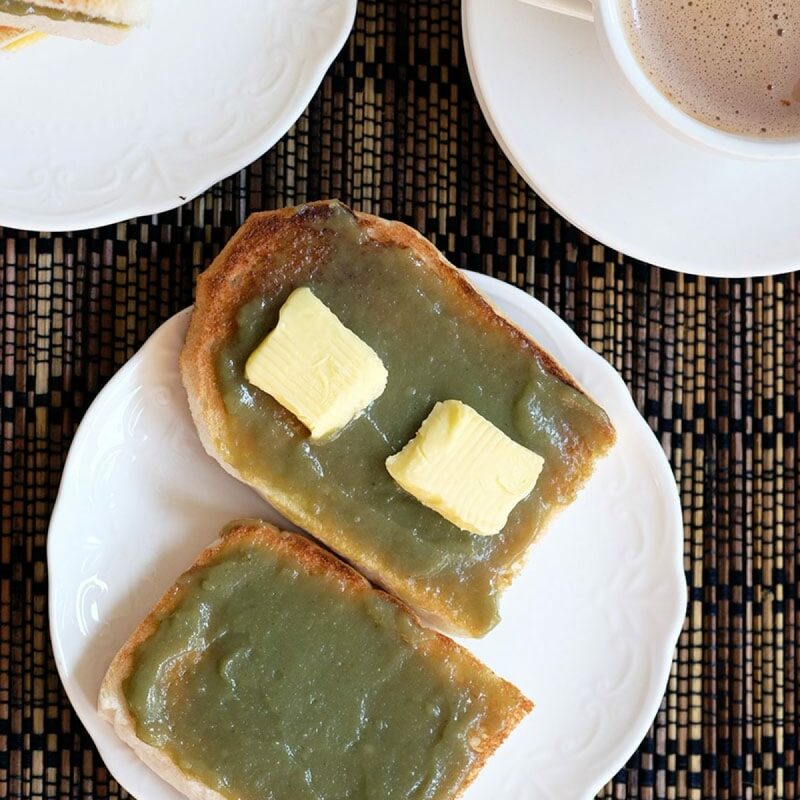 This soupy dessert is so easy to make and very perfect as a light and refreshing ending to any meal. 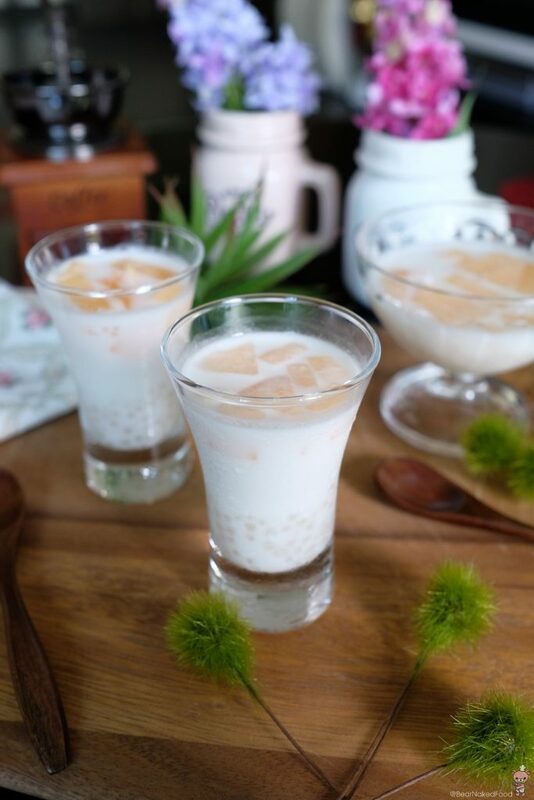 The beauty of this Sago Pearls with Melon dessert is the ingredients are so interchangeable and versatile, there is absolutely no rules when it comes to the types of fruit used. If melon is not your thing, feel free to use mango, pomelo, watermelon, peach, etc. 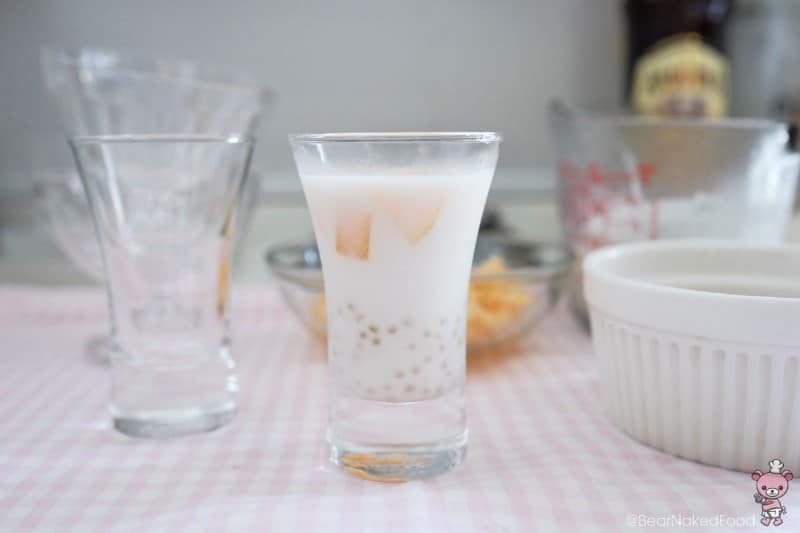 The only part that might require a little attention is the cooking process of the sago pearls. They tend get clumpy easily when cooled. 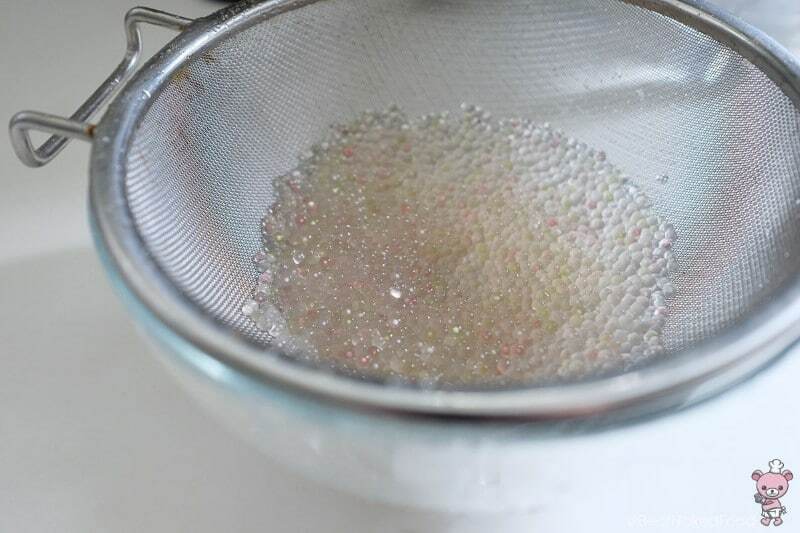 I’m using these colorful sago pearls today. 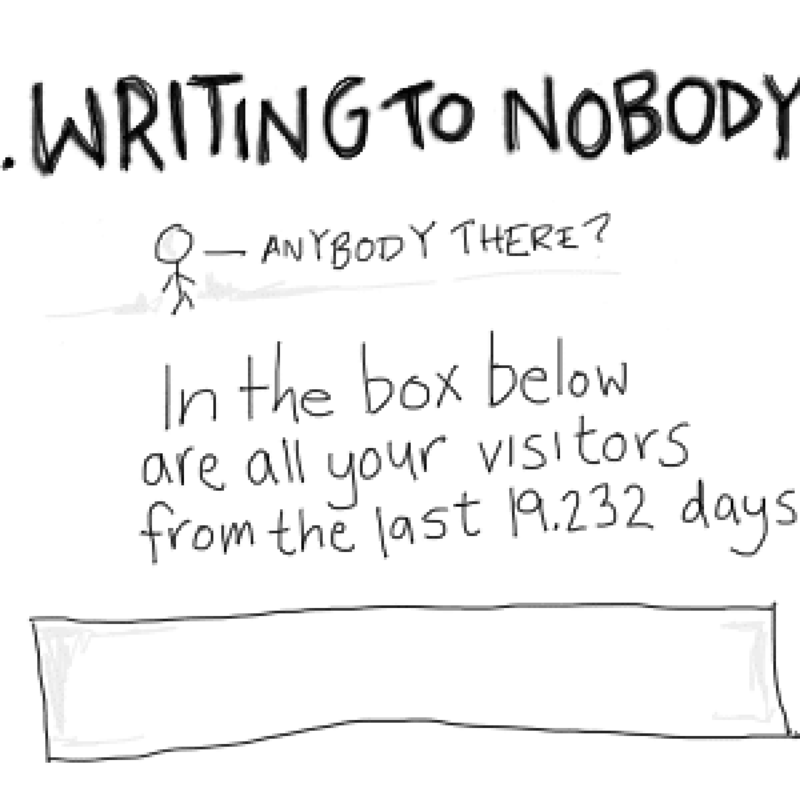 Feel free to use the white ones too. 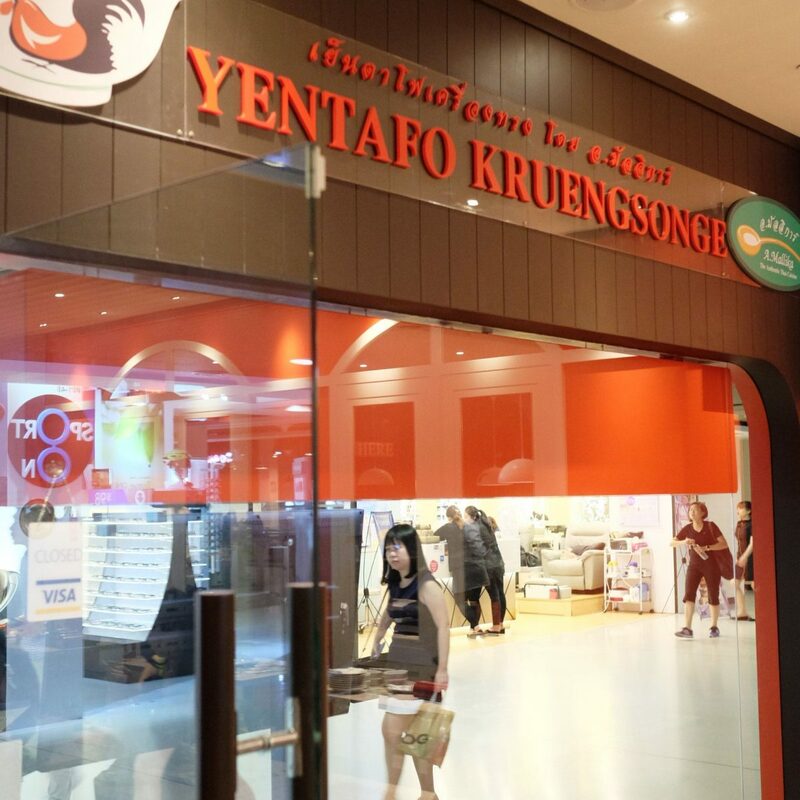 The biggest culprit is temperature of the boiling water. 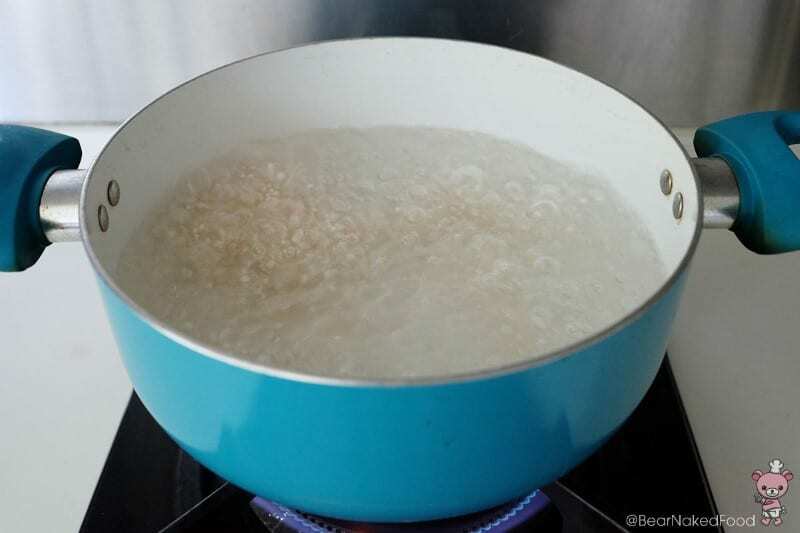 If the water is not boiling rapidly before adding the sago, chances are they’ll just dissolve and melt together into a mush. 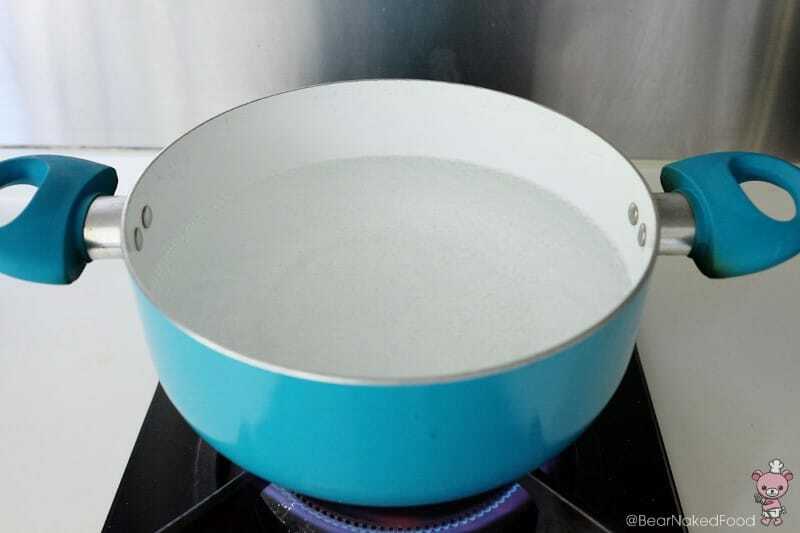 How do you tell if the water is at full boil? When the surface of the water forms large bubbles. 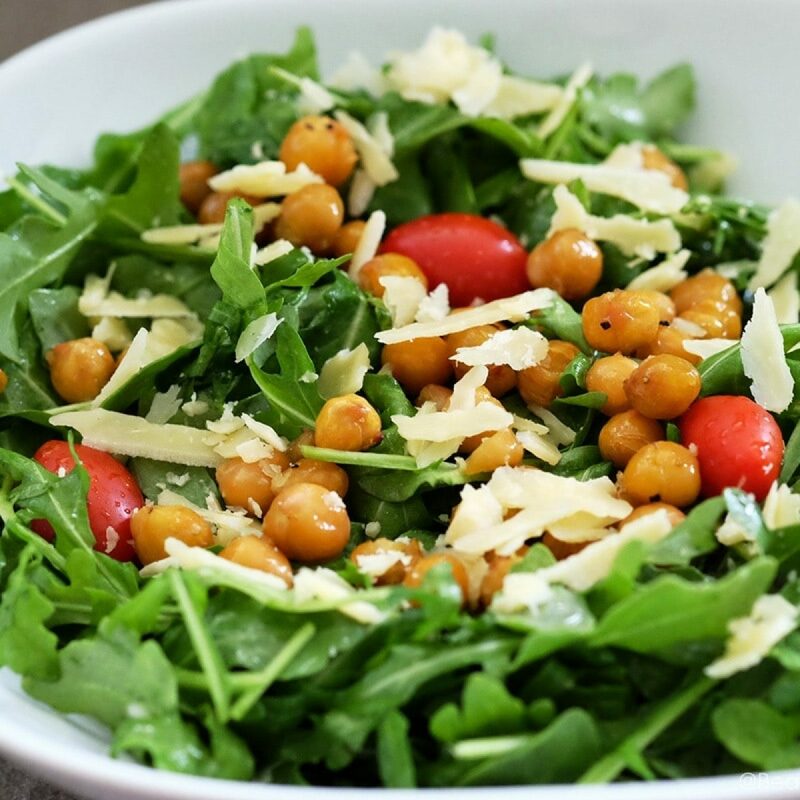 After they are done, just transfer them into a bowl of cold water to stop the cooking process and rinse them under running tap water. 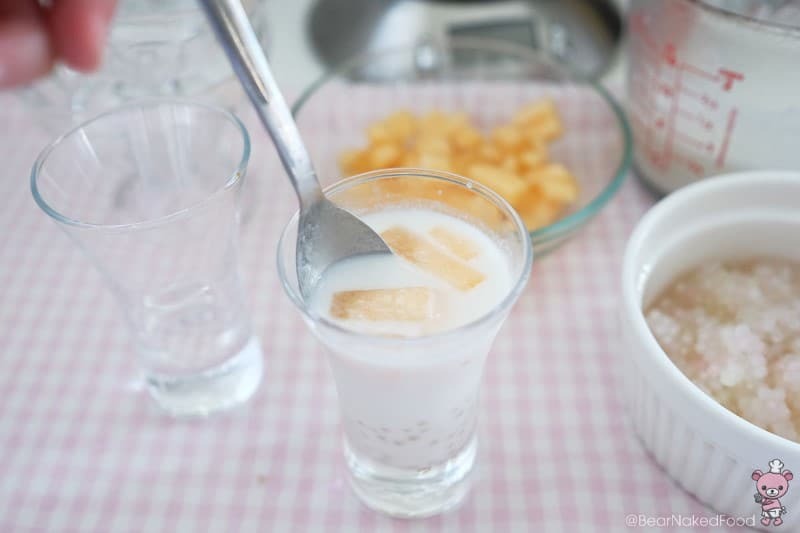 With these extra few steps, you’ll be rewarded with beautiful, clump-free sago dessert. 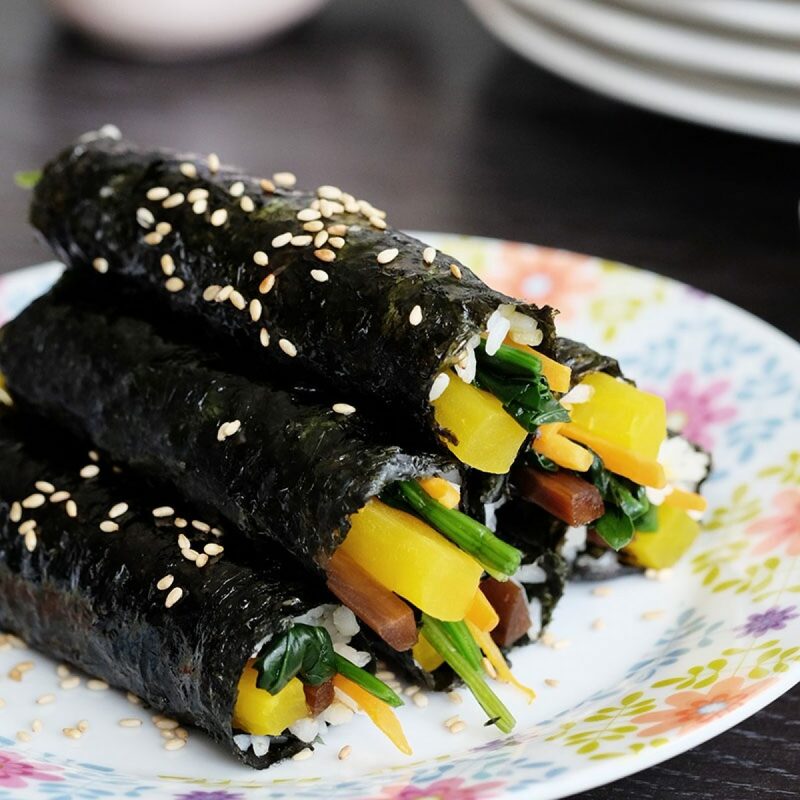 Oh, did I mention you could make them ahead too? 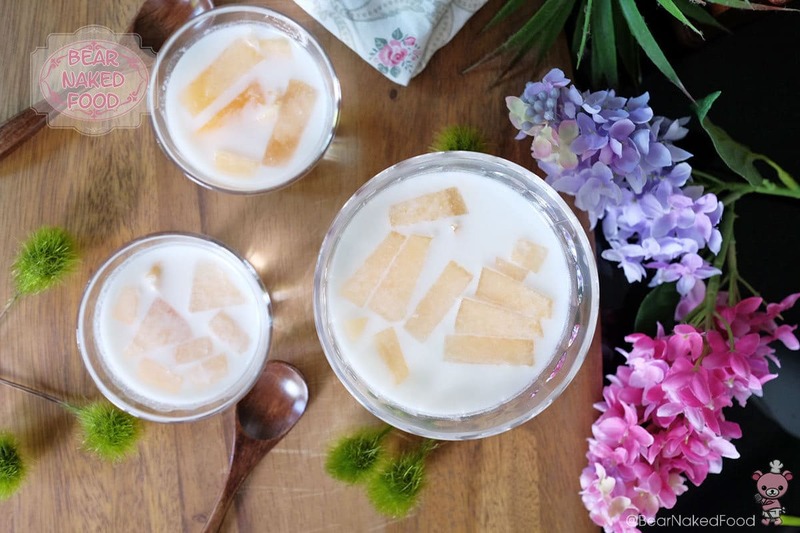 In a medium pot, add in coconut water, coconut milk, milk, sugar and pandan leaf (if using). Stir occasionally and bring to a boil. 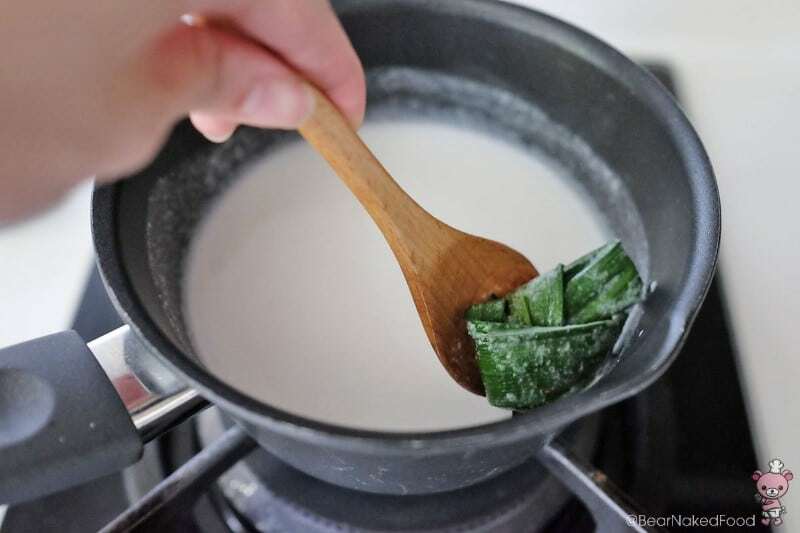 Remove the pandan leaf when it is done. 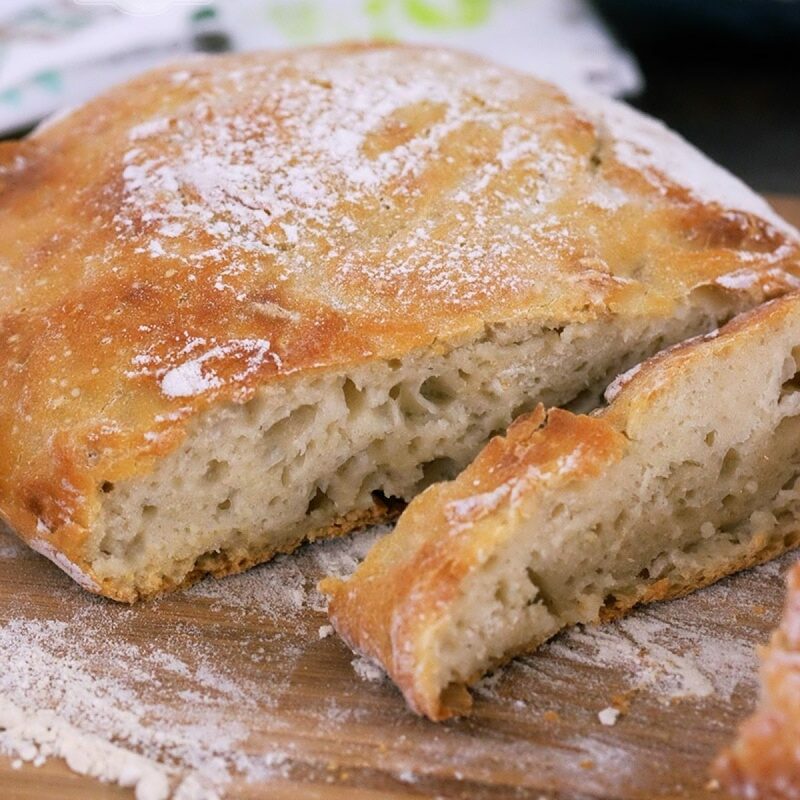 Transfer into a jug or container and allow to cool completely before refrigerating. 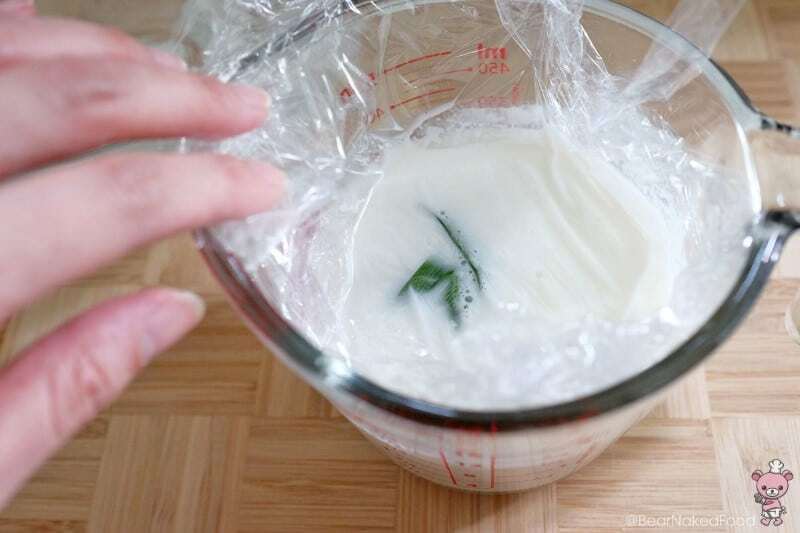 Cover the surface of the coconut milk mixture with cling wrap to prevent skin from forming. 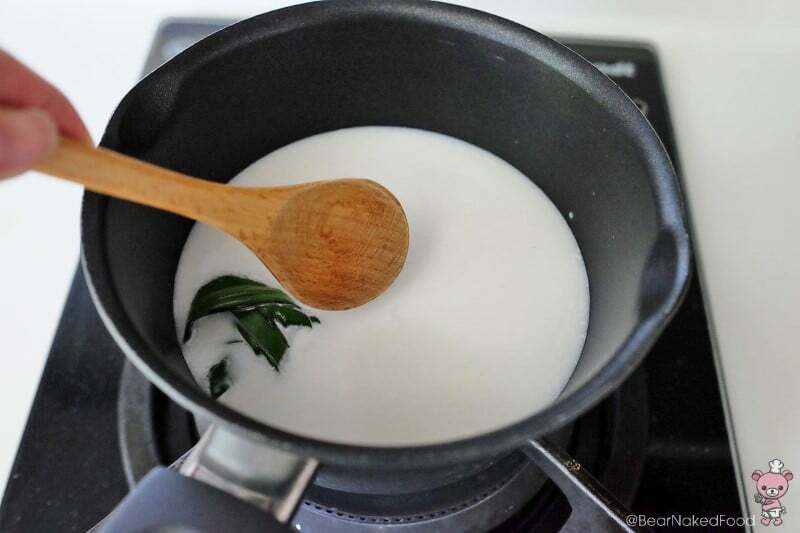 Fill a medium pot ¾ full with water and bring to boil. The water should be boiling rapidly. 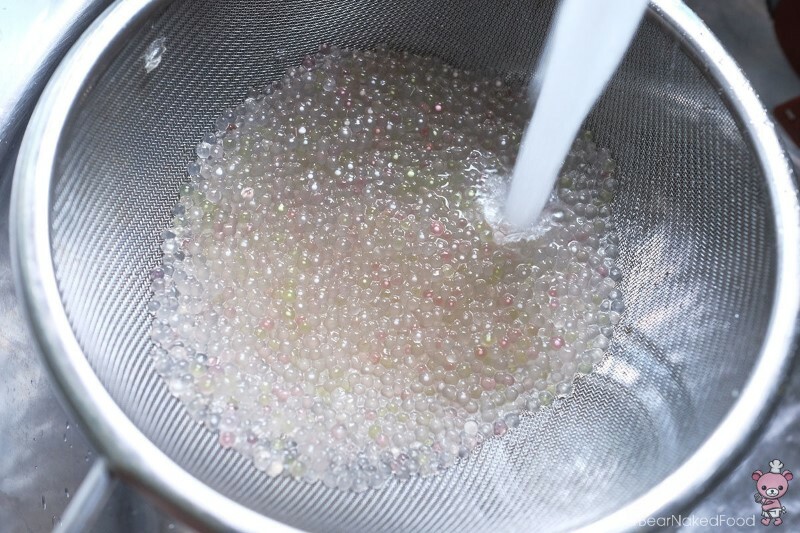 Add in the sago pearls and give it a few stirs to prevent them from sticking. 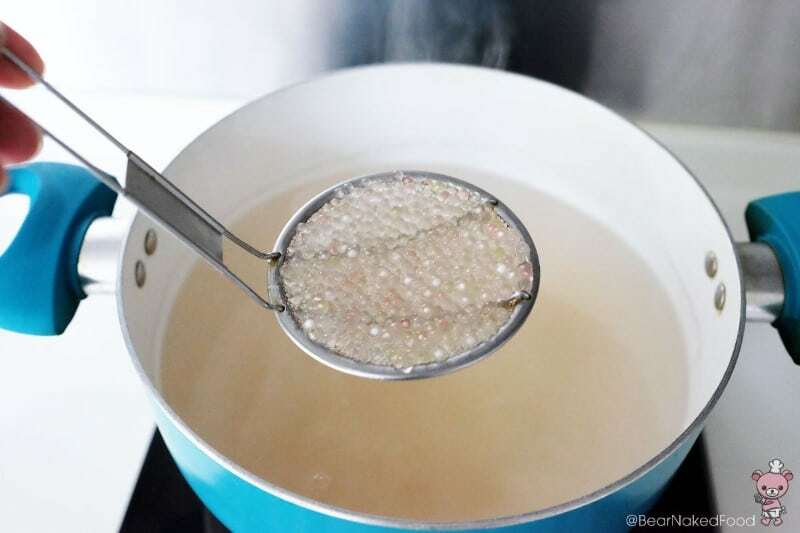 Boil at high heat for 12 – 13 mins, until the white dots in the centre of the pearls are small. It is okay to still see the white bits for now, they will turn translucent when cooled. 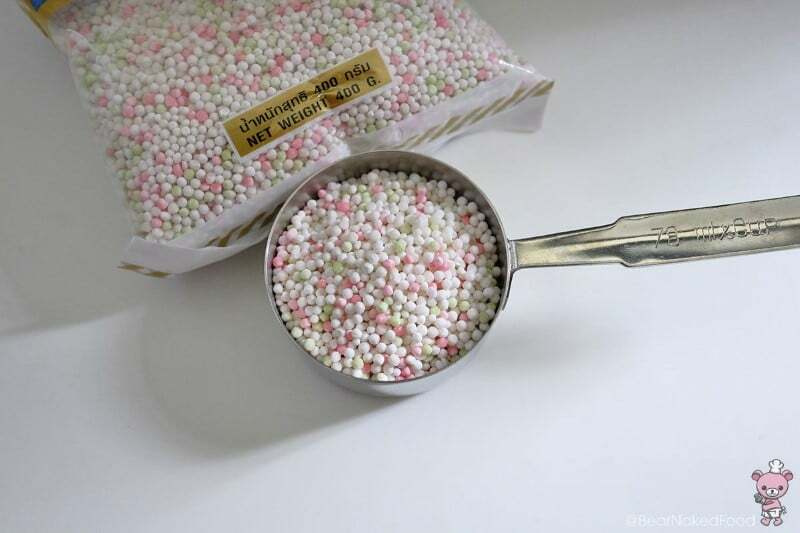 Remove and dunk them into a bowl of cold water. 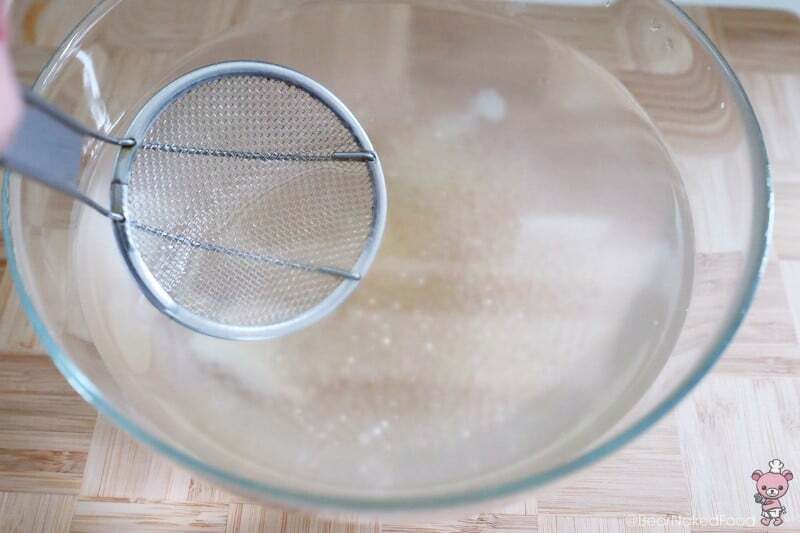 Pour the sago into a large sieve and rinse away the starch under running tap water until they are cool to touch. 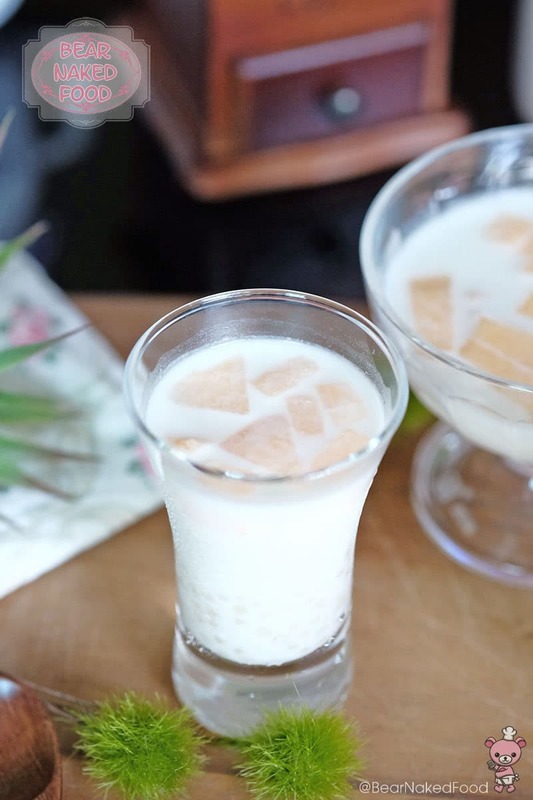 To assemble, cut the melon to bite sized cubes. 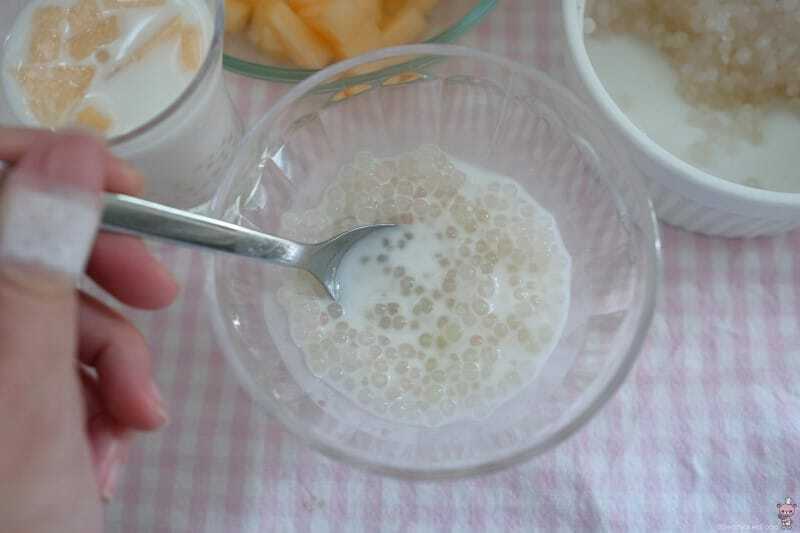 Place a few teaspoons of sago in the bottom of a glass or small bowl. 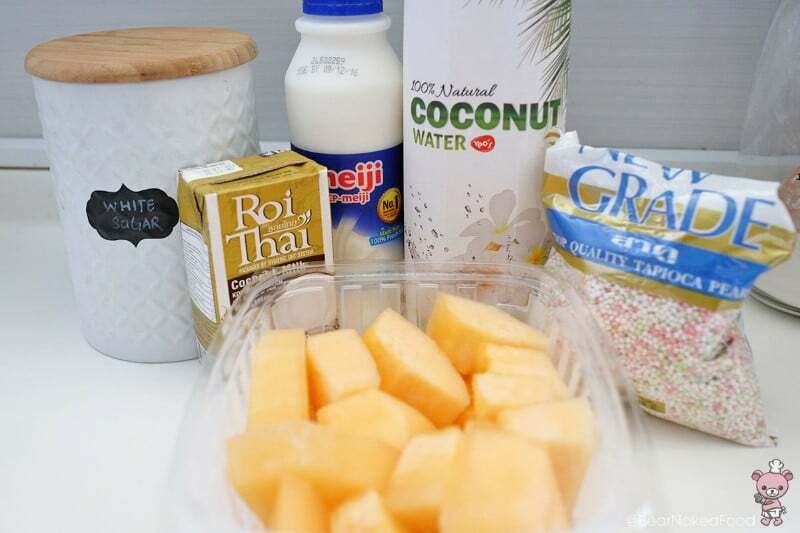 Add in desired amount of melon and fill up with the coconut milk mixture.